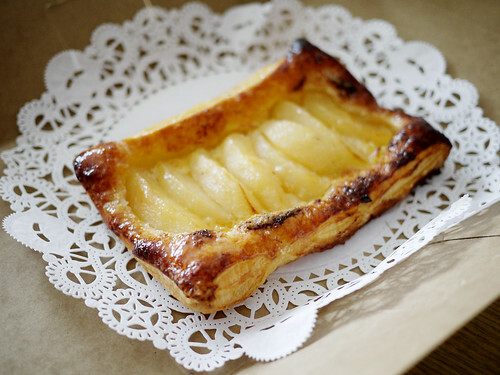 Super lucky us that this pear tart caught Shawn's eye when he stopped by Bottega Falai for lunch. Especially since he was kind enough to save us a bite for afternoon snack. We each had a little corner though I think I could have eaten half of the entire tart as it was so light and airy.